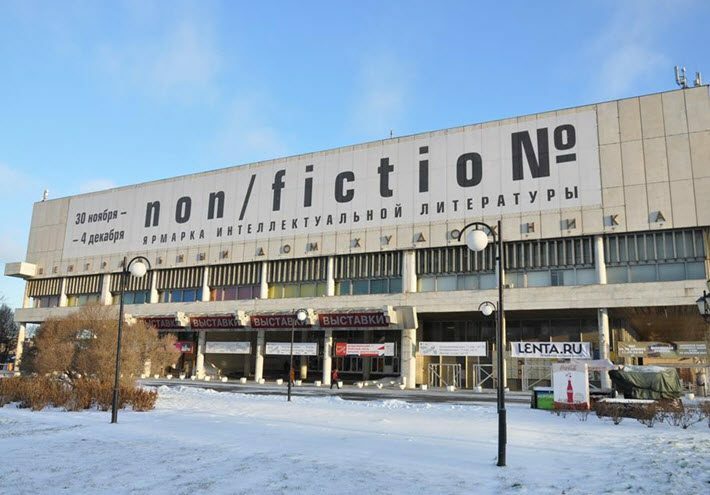 The 18th International Moscow Book Fair for Fiction and Nonfiction—dubbed “non/fictioNo. 18″—was held November 30 to December 4, and is said to have been the best-attended in several years. 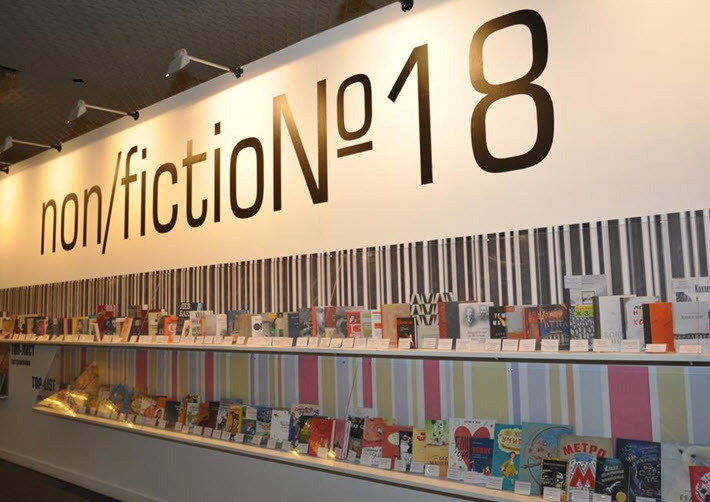 Numbers released by the organizers say that the exhibitors included 294 large and small publishers, booksellers, businesses, and cultural institutions, representing 20 countries. Including book launches, author readings, roundtable discussions, lectures, and other programming, the fair comprised some 400 events, each focused on one or more of nine topics of discussion. Food and cookbooks were among the most popular focal points. 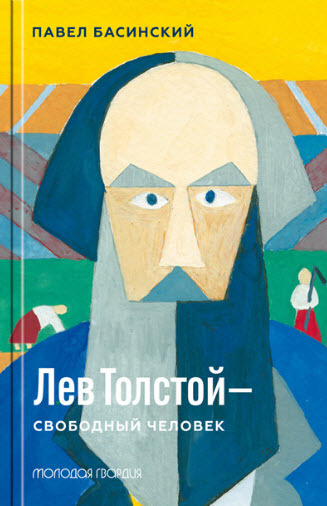 Leo Tolstoy: A Free Man by Paul Basinskii and some others. According to Boris Kupriyanov, a Russian publisher and publicist and the program director of the Moscow International Open Book Festival, the situation in the Russian book market is steadily improving. Kupriyanov tells Publishing Perspectives that this is what’s behind a significant increase this year in book fair exhibitors. The perceived upturn is also reflected in the number of state initiatives implemented in Russian book publishing. Kupriyanov cites the example of a recent decision at the federal level to lift sales tax on bookstores, something for which the industry has long lobbied the government. That change in taxation goes into effect on January 1. At the same time, new regulations on copyright protection for online material has been cheered by publishers, says Sergei Rubis, director of editorial board of Eksmo, Russia’s leading publishing house. The new measure provides for blocking Web sites that traffic in copyrighted content, a move made against piracy. One publisher tells Publishing Perspectives that he believes he’s seeing new interest in reading, as well. Ivan Trebnov, head of science-fiction publisher Orion, says that the major cities—Moscow and St.Petersburg—are where he sees this uptick in enthusiasm for reading. He says the bigger number of visitors to the book fair this year is a reflection of the trend. The same opinion is shared by a spokesman of the Union of Free Literary Agents (UFLA), which has members from Russia, Ukraine and Kazakhstan. A diversified range of offerings at the fair is thought by the union’s leadership to bode well for publishing in 2017. 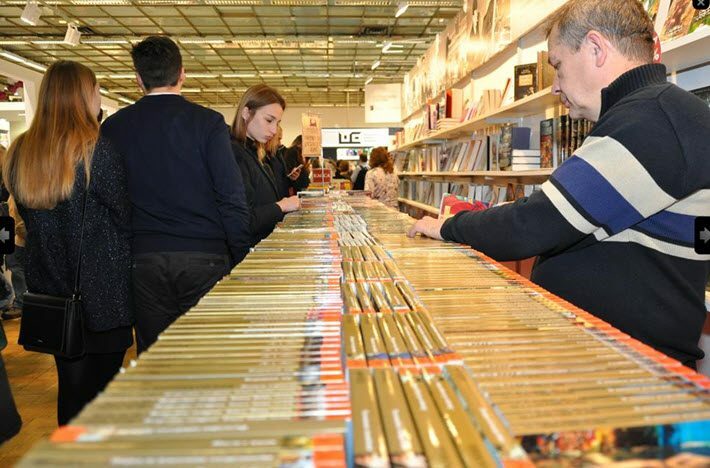 UFLA data predicts that growth for the Russian book market this year will come in at some 8 percent, bringing the industry’s size to some 8 billion rubles ( this year the Russian book market will grow by 8% in value terms to RUB 80 billion (US$1.29 billion). Improved distribution channels rather than higher prices are expected to be the main driver of next year’s anticipated growth, union officials say. 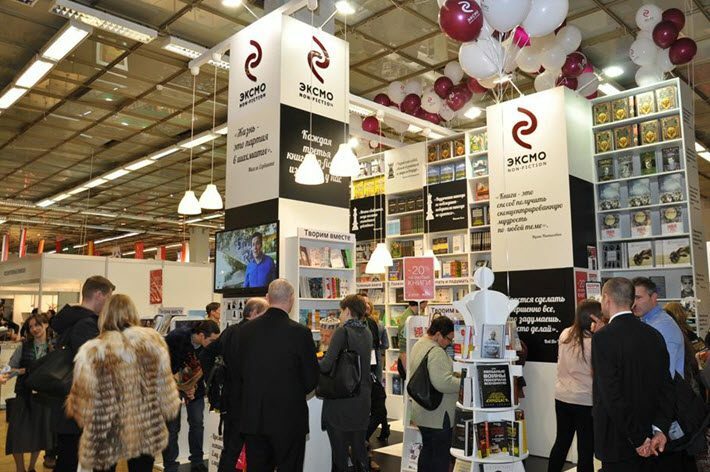 We have more today on European book fairs here.